During my time in Paris I have defiantly enjoyed my share of weekend get-a-ways! We started with Venice then to Madrid then Amsterdam then had an amazing time in the UK for a weekend in Scotland then a weekend to London. I do wish that we could have gone to other places as well but I feel very lucky that we could arrange our class schedule to allow us to travel. I am also proud of myself and friends for planning out our trips without much time and after never staying in an hostel before I feel confident that I can pick a nice, clean, cheap one for anyone! We were extremely lucky to not have anything too horrible happen on our get-a-ways besides a little pick-pocket incident in Madrid. When we ventured to the Glasgow and London it just all seemed to be perfect timing. We went to Glasgow the day after Thanksgiving; needless to say we were a little homesick. It was perfect to go to an English speaking town, filled with holiday celebrations. Then I had a three day school week jam packed with presentations and projects then we took off to London. Yet another, holiday joy filled city! Now, do not get me wrong…yes they celebrate Christmas in Paris but it is nothing compared to the Christmas markets, decorations, and festivals in the UK. It was just what we needed to get over being homesick for holidays and get us in the Christmas mood! I wish I had a euro for everytime someone from home asked me if the French celebrate Thanksgiving..most defiantely not! Thanksgiving is when it hit me how homesick I was and going to miss preparations for the holidays. We planned on having a thanksgiving dinner with our American, Costa Rican, Dutch, and French friends but we could not even find a turkey to cook over here! We ended up putting together a make-shift meal of roasted chicken, potatoes, green beans, carrots, and of course wine. It ended up being a great night though and us Americans were able to bring some holiday culture to France! 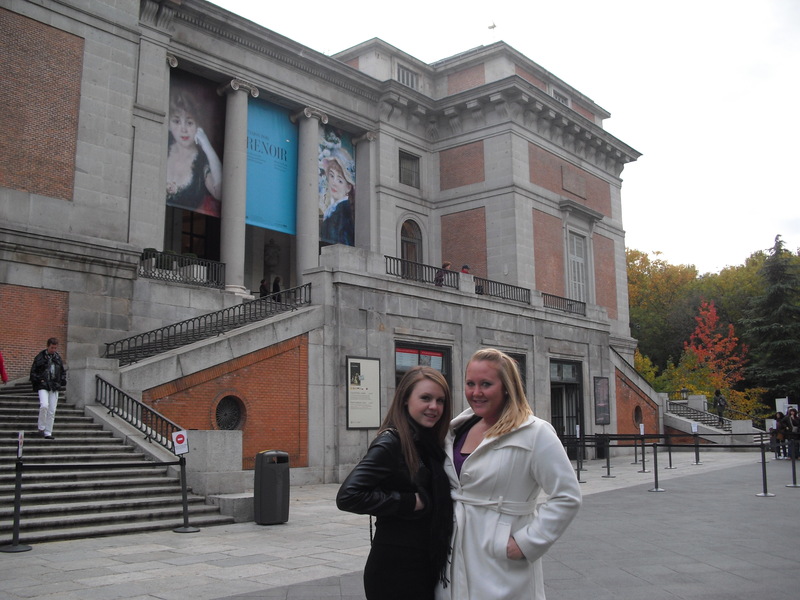 The weekend in Madrid proved to be even better than Venice!! Upon our arrival to the beautiful city one of the first things we noticed was advertising for the MTV EMAs…then we see that it is that weekend. We get to our hostel around 8pm and find out that there is a tapas tour at 9pm followed by a pub crawl ending at a night club; so of course we join both of them. The tapas tour was pretty cool because in Spain when you buy a drink then you get a tapas along with it. On the tour we learned a little bit of history about tapas and Spanish culture. 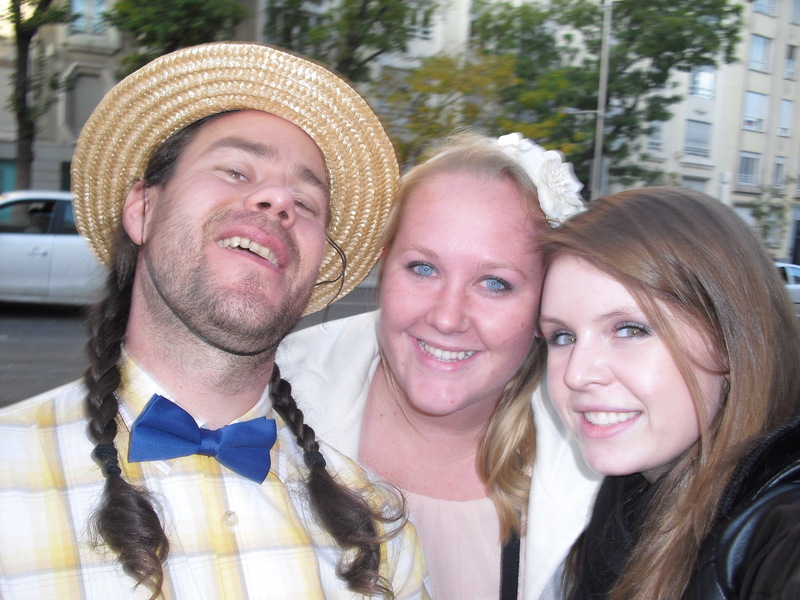 The pub crawl enabled us to meet people all in our hostel along with other hostels in the city. 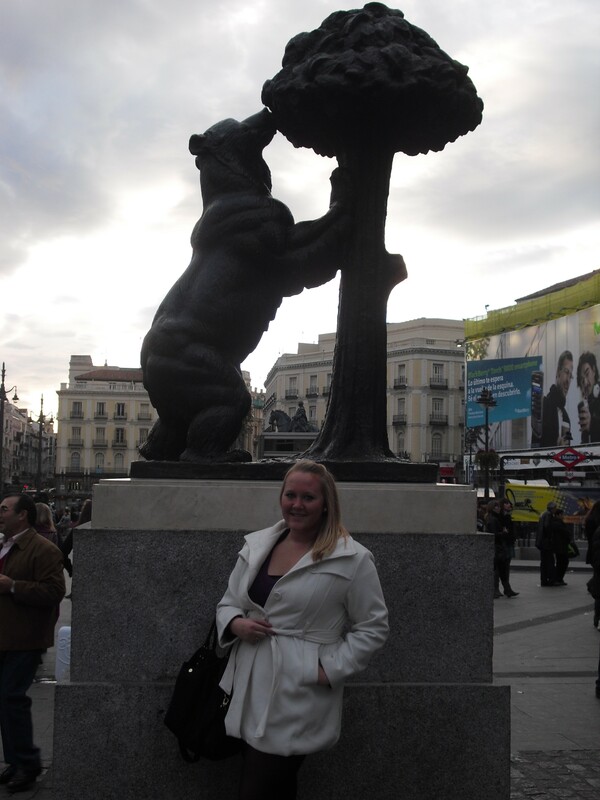 The next day we started off with a 3-hr walking tour of the entire city of Madrid. Then as leaving the tour once it ended we were walking by The Westin Hotel and I heard a girl that we met the night before from one of the hostels call out my name, when we stopped to talk to her we noticed the crowds gathered by the hotel and she told us the stars for the EMAs were all staying there. We ended up seeing Pauly D & Snooki from Jerseyshore, Ke$ha, Cobra Starship, and met the Jackass crew. We ended the night at Kapital, the famous 7 story club in Madrid. The next day we enjoyed a private flamenco show with people from the surrounding hostels. 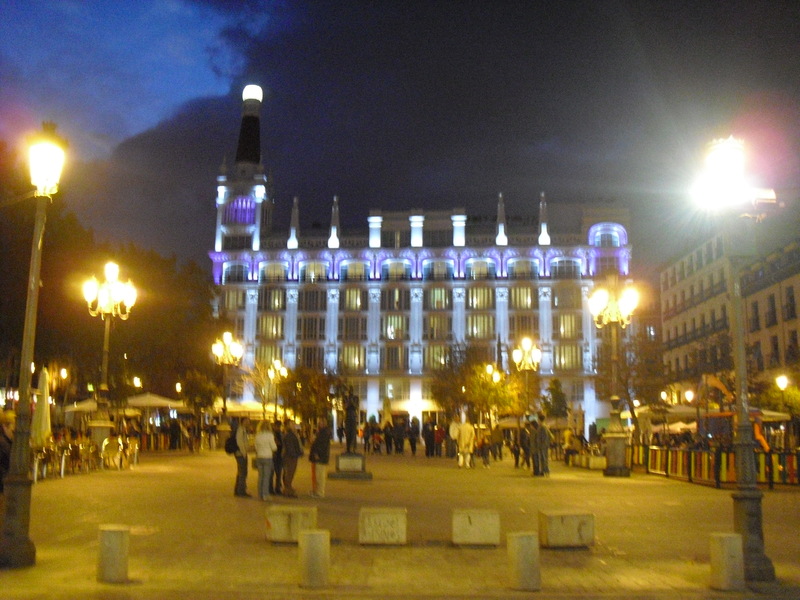 Overall, Madrid was amazing….its night life was nonstop until sunrise and the culture was overwhelming. Up next: Leaving for Madrid, Spain this Friday! Time in Paris has flown by! Yet I will remember my first day here like it was yesterday. Basically stranded at the airport because the guy that was supposed to pick us up didnt show up. After spending 60 euro on a taxi ride to my new home Shauna and I find we are placed with a family who only knows French…lets just say that this is not looking good. We navigate our way around Paris and finally find campus and sign up for classes. Soooo classes only on Wednesdays, Thursdays, and Friday mornings..perfect for traveling (after our visas are finalized). A solid 18 hours of sleep after being jet-lagged is just what we need to start our new lives in Paris!